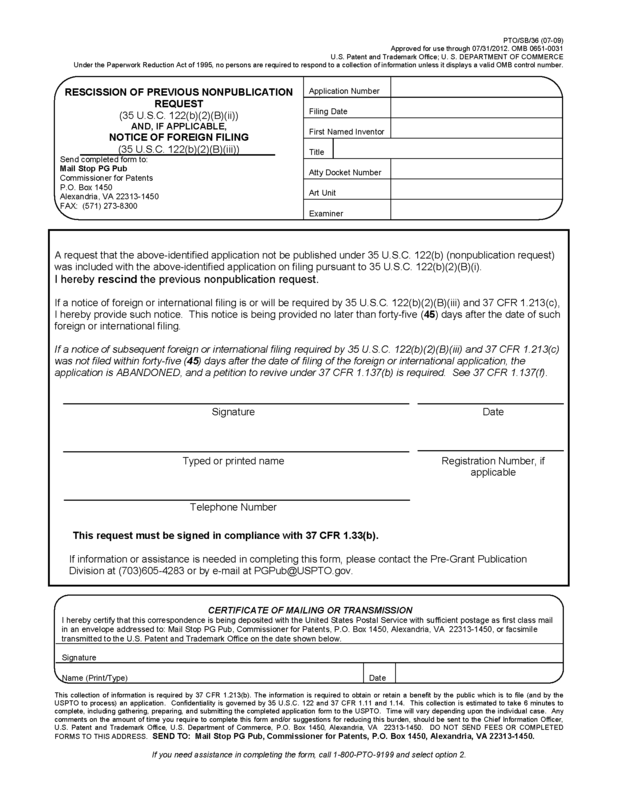 Form PTO/AIA/24A, “Petition for Express Abandonment to Avoid Publication Under 37 CFR 1.138(c),” may be used by applicant in an application filed on or after September 16, 2012 for filing a petition for express abandonment to avoid publication under 37 CFR 1.138(c). 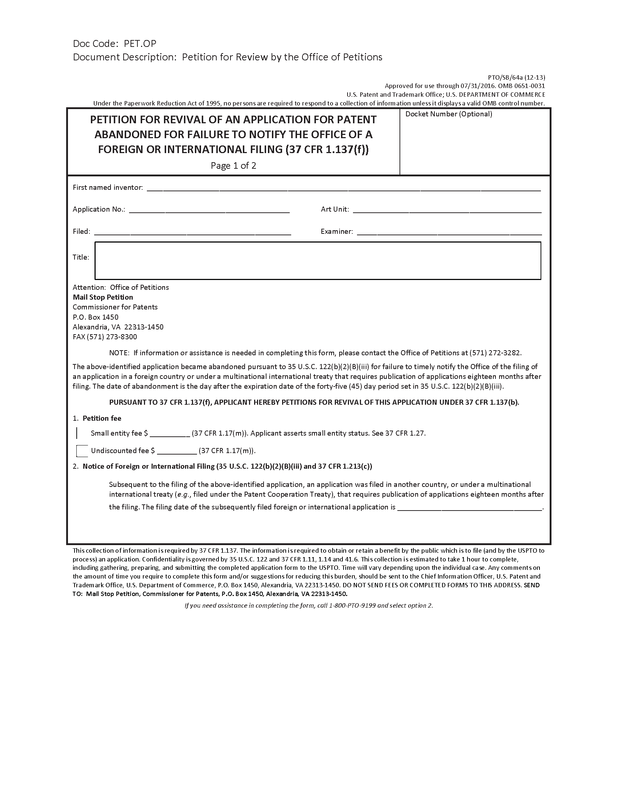 Form PTO/SB/24A, “Petition for Express Abandonment to Avoid Publication Under 37 CFR 1.138(c),” may be used by applicant in an application filed before September 16, 2012 for filing a petition for express abandonment to avoid publication under 37 CFR 1.138(c). See MPEP § 1125. 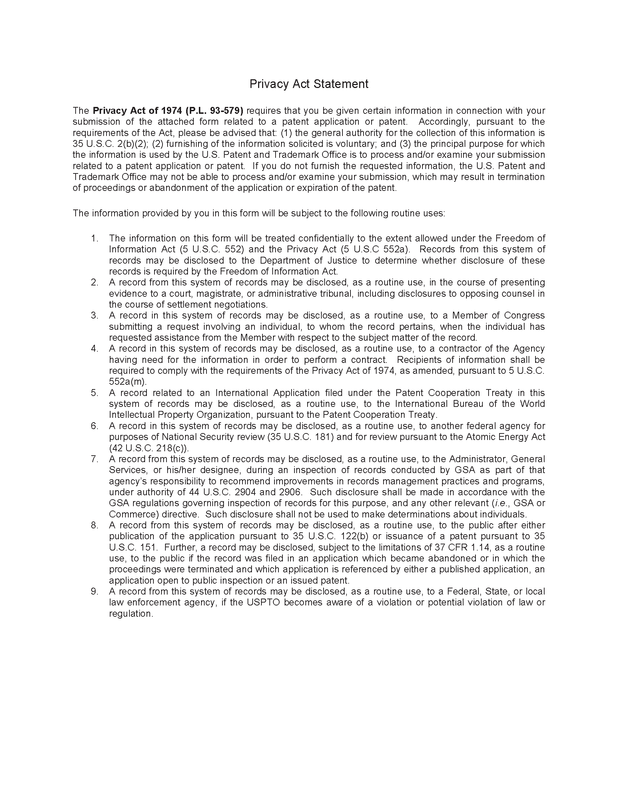 Form PTO/SB/35, “Nonpublication Request Under 35 U.S.C. 122(b)(2)(B)(i),” may be used by applicant for filing a request for nonpublication and the certification under 35 U.S.C. 122(b)(2)(B)(i) upon the filing of an application. See MPEP § 1122. 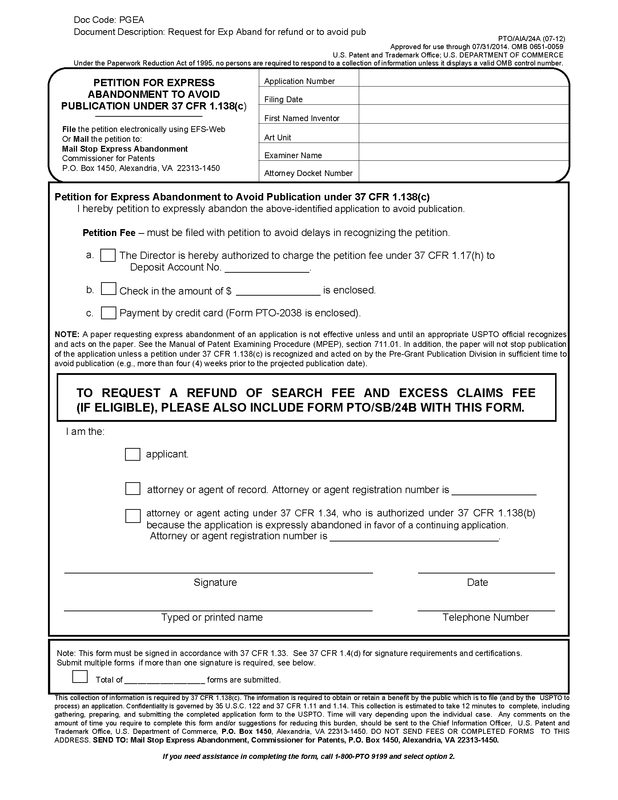 Form PTO/SB/36 (revision April 2001 or later), “Rescission of Previous Nonpublication Request (35 U.S.C. 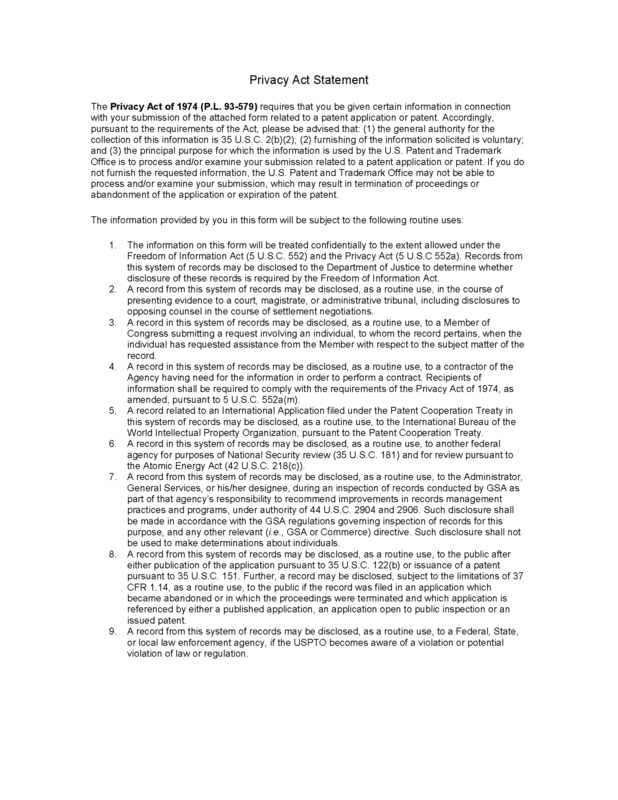 122(b)(2)(B)(ii))) and, if Applicable, Notice of Foreign Filing (35 U.S.C. 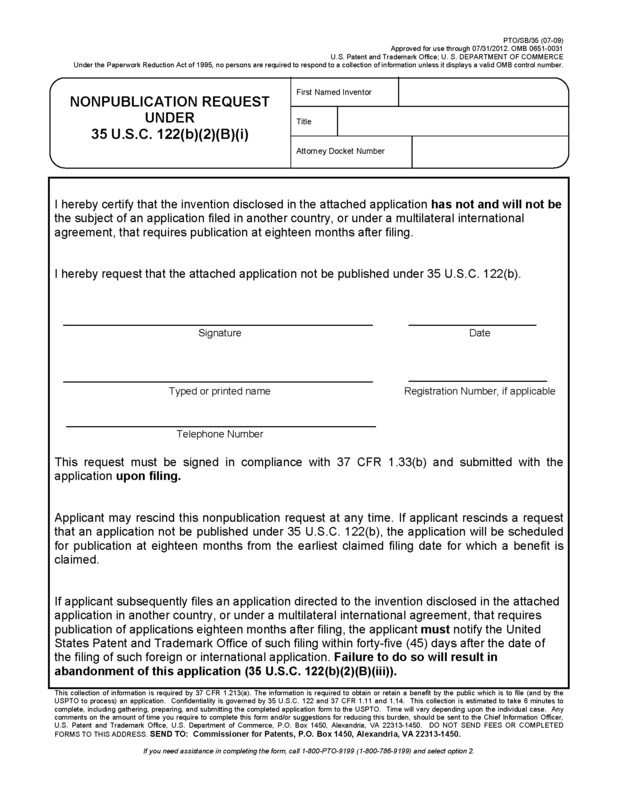 122(b)(2)(B)(iii)),” may be used by applicant for filing a request for rescinding a previously filed nonpublication request and/or for filing a notice of foreign filing. The certificate of mailing or transmission only applies when applicant is filing a notice of foreign filing. 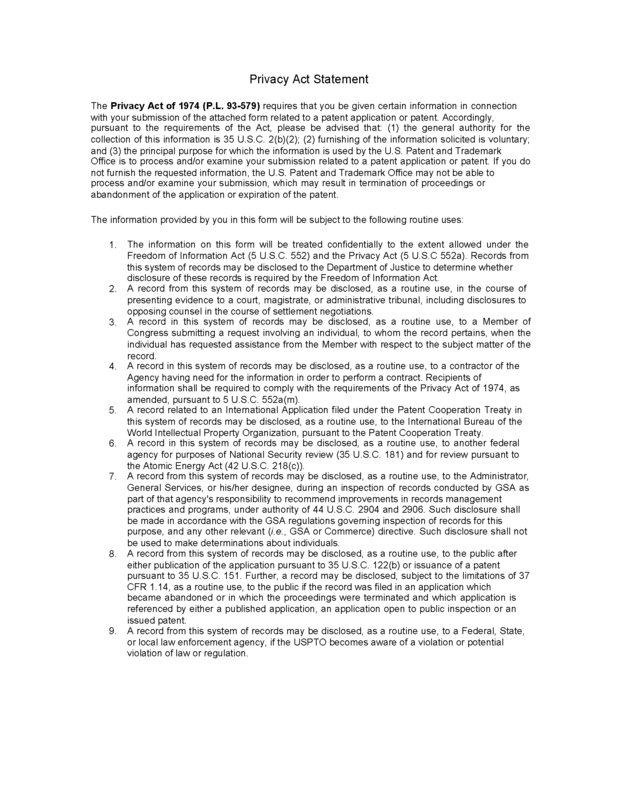 See MPEP §§ 1123 and 1124. 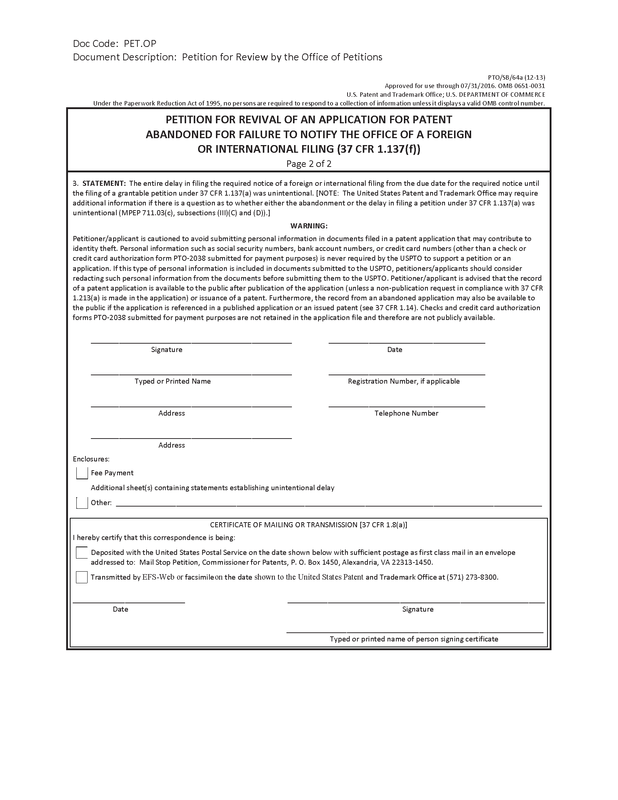 Form PTO/SB/64a, “Petition for Revival of an Application for Patent Abandoned for Failure to Notify the Office of a Foreign or International Filing (37 CFR 1.137(f),” may be used by applicant for filing a petition to revive an application abandoned for failure to notify the Office of a foreign filing. See MPEP § 1124.